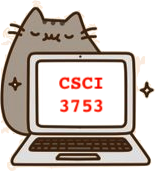 This course introduces students to important Operating Systems concepts. The course will cover key aspects of how an operating systems functions on a modern computer, including Basic System Structure, Processes and Threads, Virtual Memory, File Systems, Security, Networking and Distributed (File) Systems, and Virtual Machines. In addition, the class will gain familiarity with important software tools such as debuggers, compilers, editors, kernel modules, and virtual machines.